Credit: DCB, University of Bern. The classic molecular-biological narrative has a simple form: Gene-RNA-protein. This is what we learned in school: DNA is transcribed into RNA. In the protein factories (the so-called ribosomes), the RNA serves as a kind of punch card – the proteins are assembled by the machinery exactly according to the DNA template. A single large apparatus can thus produce a wide variety of proteins. In recent decades, however, biologists have realised that this scheme is far too simple, in particular with regard to the role of RNA. More and more RNA has been found with no code, i.e. no protein instructions. Today, it is assumed that in many living organisms the majority of RNA produced by transcription is actually “non-coding”. In humans, noncoding RNA makes up an amazing 98 percent of RNA. Why is so much RNA transcribed that does not serve the “classical” purpose? RNA is obviously not only a DNA blueprint, but also takes on many other tasks in the cell. But it is not only human biology that continues to pose puzzles. Researchers are particularly interested in trypanosomes, parasitic protozoa responsible for sleeping sickness. These microorganisms are known for their unique molecular biological apparatus. Recently, researchers from the Department of Chemistry and Biochemistry at the University of Bern discovered a particularly unusual mechanism: an ncRNA molecule that acts as a kind of stimulant for ribosomes and that is produced during stress. This finding astonished the researchers because until now only the opposite function of non-coding RNA had been known, acting as inhibitors for the cell apparatus. During stress, ncRNA molecules attach to ribosomes, pushing the emergency stop button of the protein machinery. When nutrients become scarce or environmental conditions become especially challenging, the entire assembly line is shut down, saving time for the cell. ncRNA molecules are predestined for such a regulatory mechanism – they are produced within fractions of minutes and can thus lead to a much faster reaction of the cell than via the detour of a protein. But an acceleration of production? This irritated the researchers in two respects: Firstly, it is not immediately clear what the purpose of such a regulation might be, and secondly, it is much more difficult to come up with an intuitive mechanism for such a mode of operation. “We knew of inhibitors, which typically block important binding sites,” said Norbert Polacek, the head of the research group. 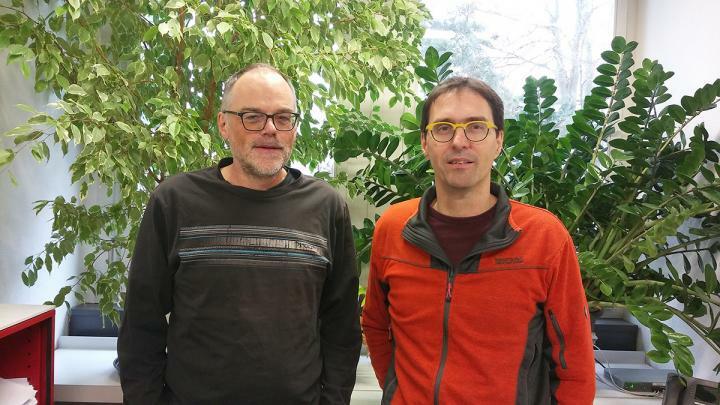 To unravel the mystery, Polacek’s group collaborated with trypanosome experts from André Schneider’s group, both part of the Bern-based NCCR (National Centre of Competence in Research) “RNA and Desease”. Together they were able to show that the stimulating effect of RNA has a precautionary effect: Stress situations are usually followed by more “relaxed” times, and being able to produce proteins again as quickly as possible can be crucial. The ncRNA fragment has the effect of bringing the ribosomes up to full production capacity without delay as soon as, for example, sufficient nutrients are available again – Polacek calls it a ” kick start ” for the cell. The NCCR “RNA & Disease – The Role of RNA Biology in Disease Mechanisms” studies a class of molecules that has long been neglected: RNA (ribonucleic acid) is pivotal for many vital processes and much more complex than initially assumed. For instance, RNA defines the conditions, in a given cell, under which a given gene is or is not activated. If any part of this process of genetic regulation breaks down or does not run smoothly, this can cause heart disease, cancer, brain disease and metabolic disorders.The NCCR brings together Swiss research groups studying different aspects of RNA biology in various organisms such as yeast, plants, roundworms, mice and human cells. Home institutions are the University of Bern and the ETH Zurich.